The wildly popular phenomenon of hygge gets a warm American twist with this gifty, illustrated guide from bestselling Danish-American author Stephanie Pedersen. With their overscheduled lifestyles, Americans can't always find time for the people and things they love. 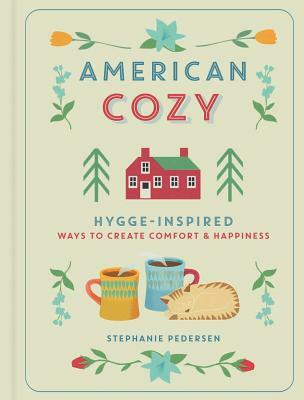 Enter American Cozy, which uses the Danish phenomenon of hygge--comfort, togetherness, and well-being--to bring coziness and ease to readers' homes, work, and lives. Filled with charming four-color illustrations, it explores organization and home d cor, entertaining, cooking, creating a happier, more productive work life, de-cluttering, and slowing down. Stephanie Pedersen hosts and produces radio programs, videos, telesummits, and an online interview series about making holistic, healing lifestyle changes. A nutritionist and certified holistic health counselor, Stephanie has written more than 20 books, including Sterling's successful Kale, Coconut, and 7-Day Superfood Cleanse.